Your captain owner / operator Terence Mangold is a well seasoned skipper. 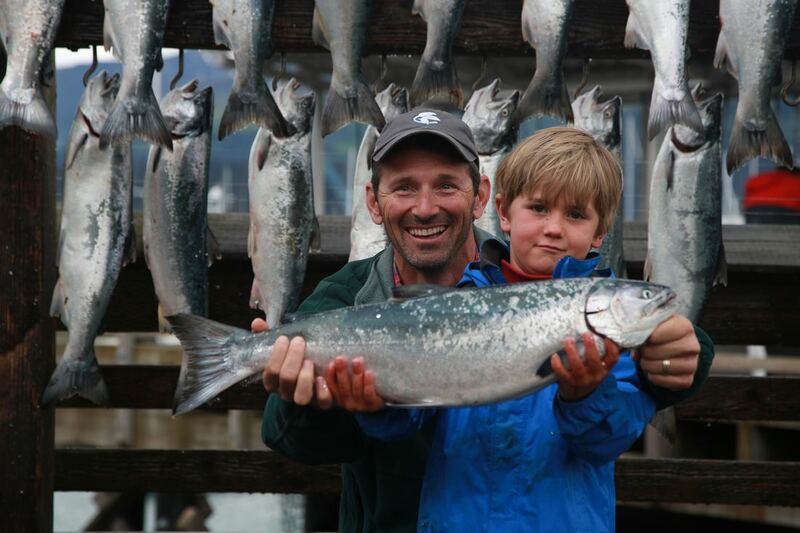 He has helped pioneer sport fishing in Seward, Alaska for more then 25 years. Originating from Pennsylvania and the Jersey shore, he has lived in Alaska and Hawaii since the early 1990’s. ​Holding a 1600 ton Master, United States Coast Guard license upon ocean waters Terry has traveled the world as a professional mariner through the fishing, yachting, research, oil, and tourism industries. With ocean crossings, Panama Canal passages, and sport fishing throughout the world he brings safety and confidence to the forefront each day. A fisherman at heart, your captain also has a love for the marine environment in general. An established marine mammal naturalist published marine mammal researcher, professional photographer and artist round out his personality. 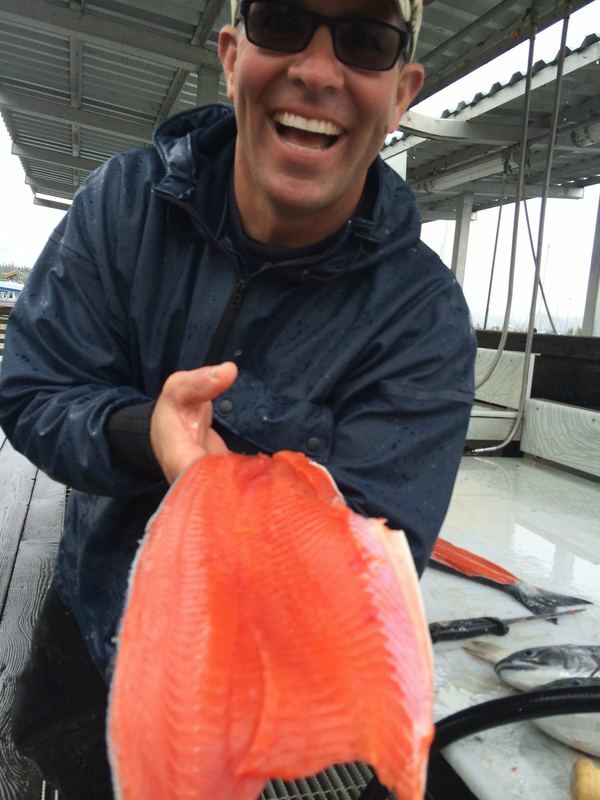 He loves to find the fish and provides a safe, memorable Alaskan experience. It is his goal to be the catalyst for an enjoyable day on the ocean. Captain Terry strives to produce an honest effort fishing, action, knowledge and respect of the ocean resource and to spark your desire to come back again. ​The Keep it Reel is 34 feet and a classic Alaskan built salmon fishing machine. Manufactured from aluminum by Peregrine Marine, she is a solid sea worthy vessel. Powered with twin 300 horsepower Yamaha outboards, you quickly get to and from the fishing grounds whether you are on a half day or full day experience. A wide 10’ beam and a huge fishing deck provide ample room for fishing and a safe working platform. The Keep It Reel is thoughtfully set up with salmon fishing as the main objective. 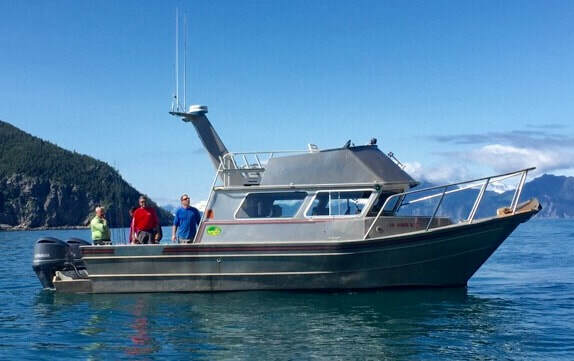 Equipped with Scotty electric downriggers, state of the art navigation and fish finding electronics, safety gear, and satellite phone we head out on every trip fully ready to safely give you the best opportunity possible for success. Our heated cabin has a settee and comfortable seating for all on board. We accommodate serious anglers, families with kids, and exclusive groups, all with up to 6 fishermen. ​At Latitude 60 Marine we take our fishing serious and our gear gives evidence to our dedication to your success. We specialize in user friendly, light tackle gear. Berkley Air 8’6”with medium action rods balanced with Shimano TR 100 reels spooled with Ande 20 # test Backcountry line are the choice for the acrobatic, energized silver/coho salmon. We love for you to put this gear to the test. You will enjoy it. For the mighty King or Chinook salmon we use the extra fast action G Loomis 8’6” GL2’s. With a soft tip and strong backbone these rods handle the deep diving King like a dream. We match these with the Shimano TR200 spooled with 20# test Ande Backcountry line. The majority of our terminal tackle is custom made for us and your captain hand ties every leader. Each and every fish is important and has value and we want to provide you with the very best opportunity in bringing that fish to the net and table. Whether it is the first fish of the day or the last, they are all fish of a lifetime.